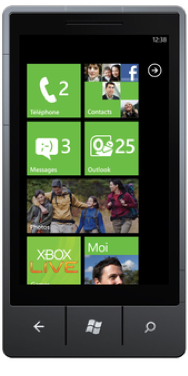 Microsoft wants you to know that even if you’re a Mac user, its new Windows Phone 7 OS still has a lot to offer. To prove it, the company has posted a beta version of its promised Windows Phone 7 Connector for Mac, a utility that lets you sync your music, videos, photos, and podcasts from iTunes and iPhoto to your Windows Phone 7 device. Rather than make you install a separate program to organize and sync your media with your phone, Windows Phone 7 Connector conveniently harnesses iTunes and iPhoto to get the job done—a tactic that should allow for iPhone-esque simplicity in keeping media synced between your Mac and Windows Phone 7 device. The free, 5 MB utility is still in beta, but this release shows that Microsoft is serious about attracting Apple customers to its new platform. Windows Phone 7 Connector runs on OS X 10.5 or later.